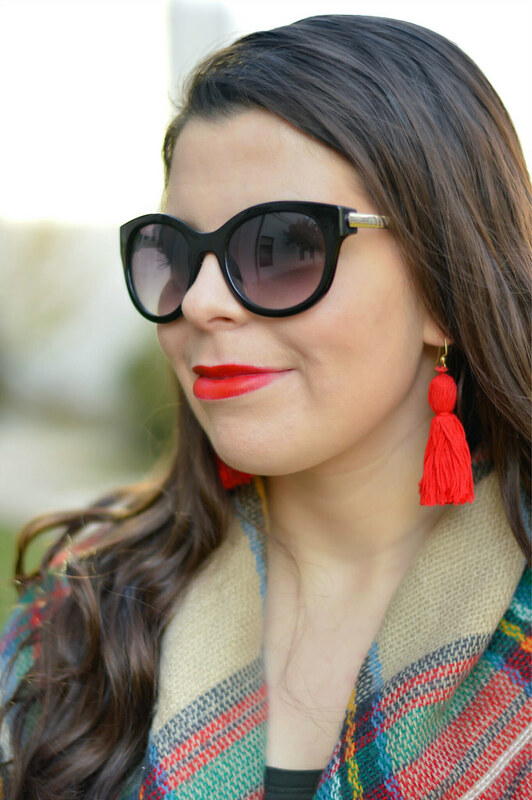 I have a confession…I am so obsessed with my blanket scarf that I actually had to come up with more ways to wear it in order to feel better about it. Hopefully some of you share this addiction and I want you to know that we will get through this together! One of the easiest ways to get away with wearing something way too much is to change up how you style it. 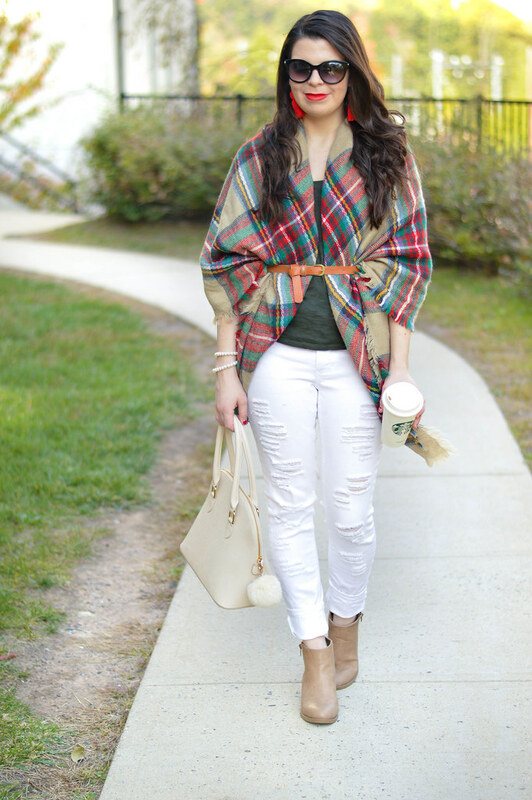 The blanket scarf can be worn a number of different ways, but my personal favorite is the cape! Step 1: Lay your scarf flat on the floor. It should look like a large square when spread out. Step 2: Fold a corner of your blanket so that it is touching the corner that is directly diagonal to it. 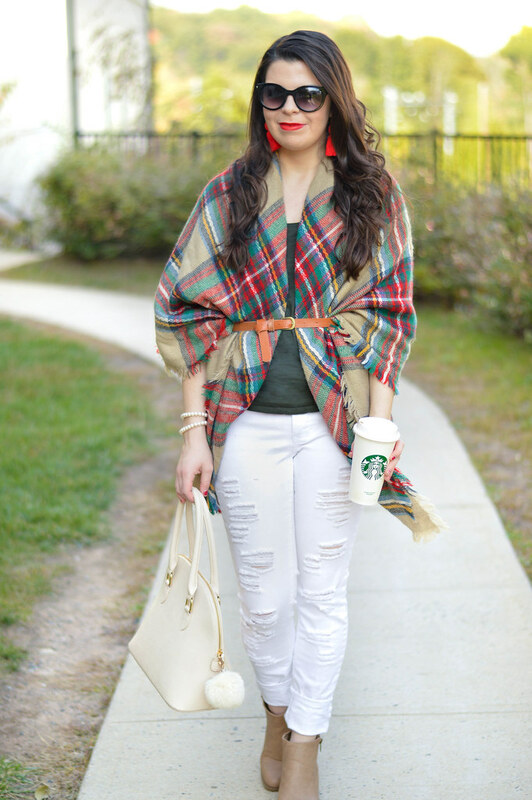 Now your scarf should look like a triangle. Step 3: Wrap the triangle around your shoulders so that it drapes down near the front of your legs. Step 4: Using a belt, finish the look by securing the cape at your waist.